Yes, you read that correctly – these two independently wonderful things have finally been wed. The creaminess of the cheese and meaty punch of the beer work so fantastically together, although it IS very rich so not one for huge portions. I got the idea for this after seeing some recipes for Beer and Cheese dips. 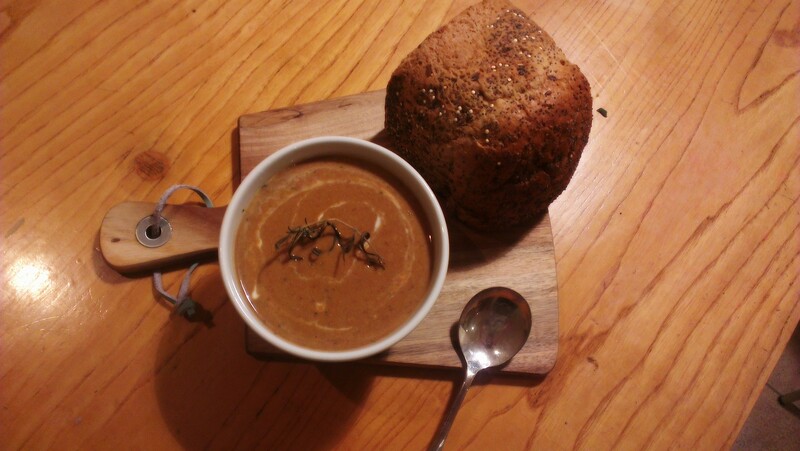 The most vital thing with this is to mind the bitterness – the soup should be sharp as Brie but not unpleasantly so. 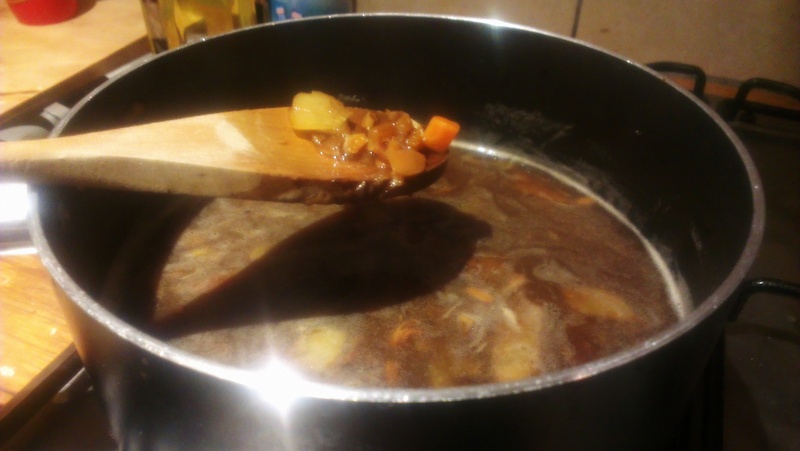 Basic soup vegetable base – chopped onions, carrots, celery etc. Fry your vegetable base and herbs in butter until browning then coat with flour. Fry for a further minute or so. Pour in the stout, slowly at first. 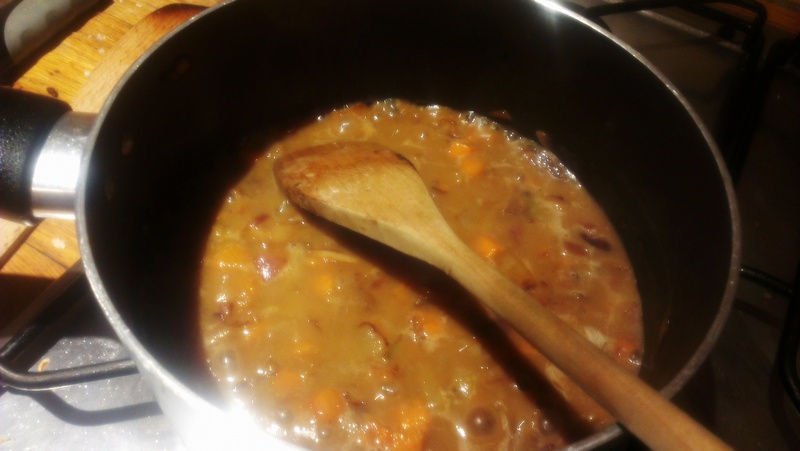 As it begins to thicken add more until you have a moderately thin soup. 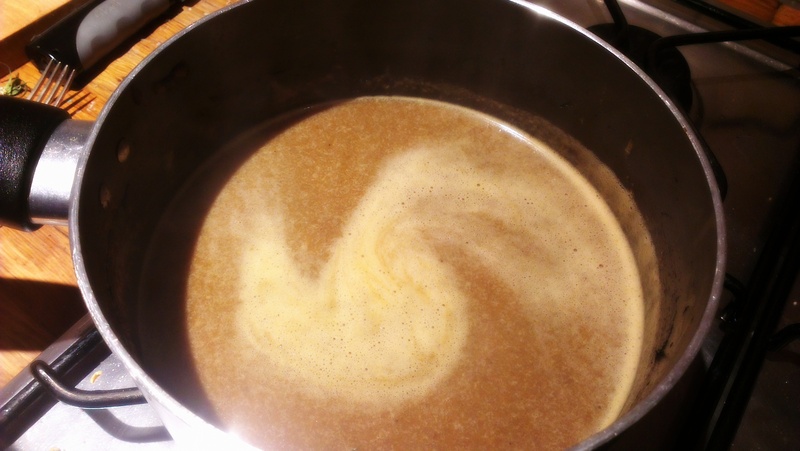 Add the stock then simmer on a low heat, stirring occasionally, until the alcohol has had time to cook off. Reduce the heat to it’s lowest possible setting. Add the brie, several slice at a time, and stir through until all melted in. Add the yoghurt about 1tbsp at a time. Stir through and taste, continuing to add until the soup is no longer bitter. Heat very gently, stirring to avoid curdling, then serve. Serve in small bowls with a small dollop of Yoghurt stirred through. And of course, the obligatory crusty bread. You really can’t mess this up – it’s soup. This will keep happily in a sealed container in the fridge for a few days, however it will gradually get more bitter so may need more yoghurt added. Reheat in a saucepan, stirring thoroughly, NOT the microwave. This will cause curdling. 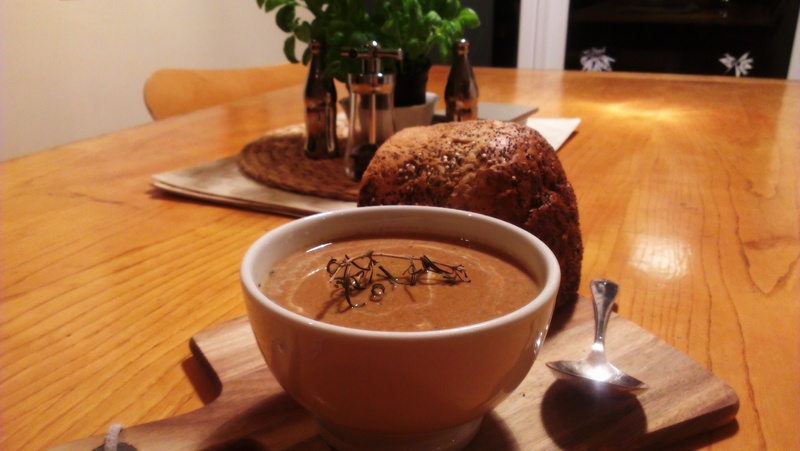 Do let us know what you think of this boozy soup in the comments below! 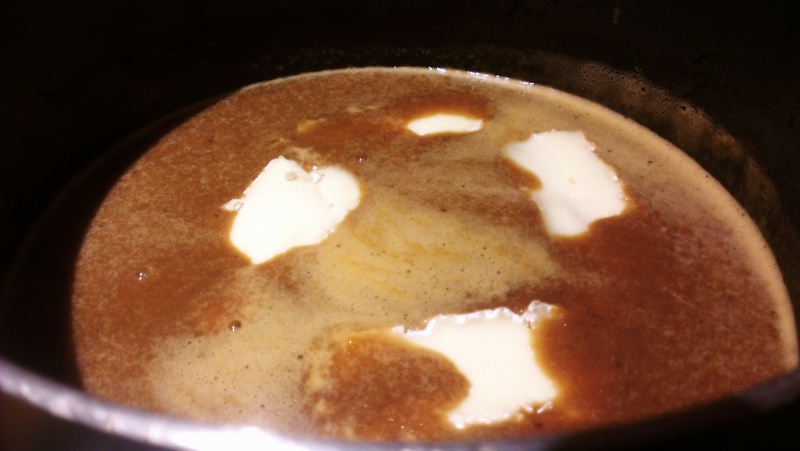 Posted in Guesscipes, One Pot, Starters, VegetarianTagged alcohol, ale, beer, brie, cooking, guesscipe, guinness, recipe, soup, stoutBookmark the permalink.